These foods and supplements may make a difference in your immunity. Should you pop a pill or prepare a strategic meal? Cold and flu season is here, and it might be time to think about how to boost your immune system. That includes pill popping, cleansing drinks and more chewable vitamin C than you can shake a flu shot at — all in the hopes you won’t get sick. The question is, does it all work? And does it work as well as — or better than — things we might do naturally, like eating well, sleeping, washing our hands and avoiding cigarettes? During fall and winter, cold and flu risk can linger for months. As humans, we share our environment with a host of microorganisms — bacterial, viral, parasitic — that are foreign to us. The body does its best to deal with these invaders with a complex process that relies on a number of factors. In addition to known immune boosters, such as getting enough physical activity and eating a healthy diet, there are only a few supplements on the shelves that may help boost immunity. Should you pop a pill or prepare a strategic meal? Mice that were given quercetin, a common compound found in fruits and vegetables, were much less likely to develop the flu. 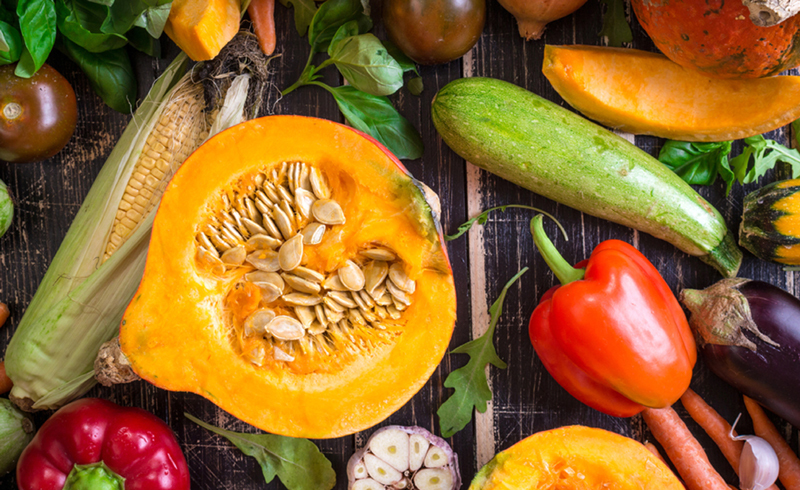 Fruit and vegetable consumption boosts your circulating levels of all the cold- and flu-fighting nutrients you’re trying to get in pills like vitamin C, zinc and selenium. Garlic belongs in the allium family. Any member of this family, including onions and leeks, can help build up your immunity to ailments most common during fall and winter. A study in the journal CHEST is probably the largest cited in articles demonstrating why chicken soup works for colds. It concluded, that yes, chicken soup may in fact be a bona fide remedy for the common cold. It provides fluids, which we may need more of when a cold or flu hits. Also, chicken soup hopefully contains carrots and onions in the recipe, which boost antioxidants as well. Whole grain consumption (think intact grains like buckwheat, brown rice and oats) helps healthy gut bacteria flourish. This process can help tune up your immune system. When you think of cold and flu, fish is probably the last thing that comes to mind. Perhaps that thinking needs to change. That’s because DHA, the type of omega-3 found in fatty fish, was found to increase white blood cell activity. If you are a smoker, a habit that severely reduces the body's ability to fight flu and colds, you should quit. To help you along, you can use a healthy dose of fish oil every day as well. One study found doing so could reduce cravings for nicotine and the amount of cigarettes smoked daily. You can get your daily dose of omega-3s by adding in more salmon, trout and sardines in your diet as well as plant-based versions like hemp seed and walnuts. Even if you consumed the “perfect” diet, it would be very difficult to get enough vitamin D because very few foods provide enough of it. Fatty fish is probably the best source of vitamin D, followed by egg yolks and liver. The best source of vitamin D comes from the sun’s UV rays absorbed through the skin. Since many of us live in areas where UV rays are weak, or we just don’t want to be exposed to the sun, a supplemental option is the next best thing. A 2017 study in the British Medical Journal found supplementation could protect against colds and flu. Though two earlier studies found vitamin D did not prevent colds, this current, most recent analysis dissected the raw data of past studies and showed daily or weekly supplementation in people with low levels benefited the most. A 2016 study found zinc supplementation in elderly adults helped boost zinc levels and immunity. Though you can get zinc from foods like sesame and pumpkin seeds, lentils and turkey, the elderly population studied was more prone to not getting adequate amounts in their diet, making them more susceptible to infection. Further studies have demonstrated zinc can decrease the duration of the common cold. When it comes to building up defenses against the cold and flu, start by building the army in your gut. One study found college students who took probiotics in a supplement form had reduced duration and severity of the common cold. 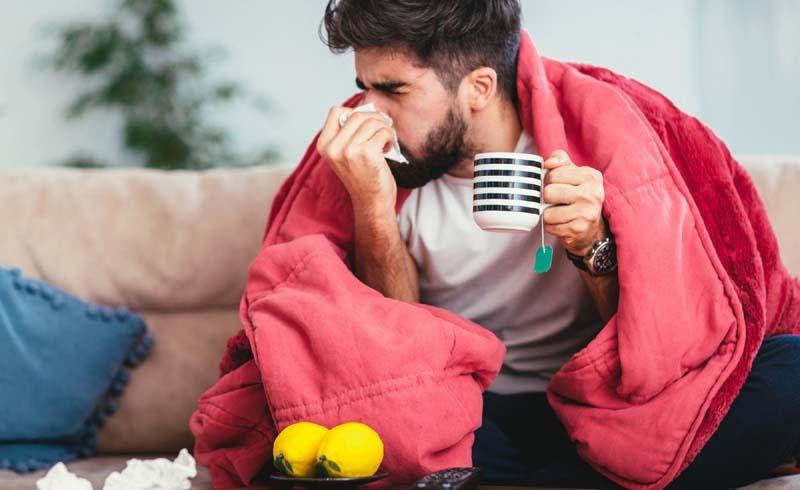 Further, a 2017 animal study found a specific gut microbe, triggered by the consumption of flavonoids found in tea, berries, and chocolate could help reduce the incidence of flu. Many studies have linked the consumption of larger doses of vitamin C to a reduction of the common cold and an increased ability to fight infection. Keep in mind, however, that consuming mega doses of vitamin C can cause diarrhea and gastric distress. So while it’s most likely safe to take the tablets and powdery packets this winter, try not to have them all day long. The upper tolerable limit for adults is 2000 mg. In addition to dietary factors, maintaining a healthy weight, managing stress, getting adequate sleep, regular physical activity and good hand washing practices are critically important factors in fighting against cold and flu. Supplements work best when you need some higher doses, like vitamin C, or when you’re trying to get a nutrient your body struggles to get from food, like vitamin D. However, you should most likely skip the various cleanses and vitamin combos that promise a remedy from flu above and beyond proper hand washing. As with most things that help reduce the risk of infection, chronic disease and early death, it’s not one thing that provides the “miracle cure,” it’s a variety of good lifestyle choices that make the difference.